Arrest records are public information in most states. This means anyone can look you up online to see if you’ve ever been arrested and charged with anything. People who may be curious about you like your children, nosy neighbors and co-workers, potential employers, and more can see everything about your arrest with a simple internet search. The documentation is there even if the charges were dropped or you were acquitted at trial. An arrest is embarrassing whether you were found guilty or innocent of the charges. Even if you were not found guilty, it can also keep you from getting jobs, housing, certain licenses, and other things you may need. Expunge record Georgia is possible so that you don’t have to deal with the stigma of having a criminal record. Getting a criminal case sealed is called expungement. The good news is that we offer seal and expunge kits tailored to each state’s laws and requirements to help individuals tackle the process. A Georgia expungement is relatively easy to accomplish, as long as your case meets certain requirements. Here are some of the top things to remember if you want to get your case sealed in Georgia. Both felonies and misdemeanors can be sealed. However, it may be easier to get some felonies sealed if they are downgraded to misdemeanors first. You can request this when you request the sealing. To have a criminal case sealed, you must not be currently serving time or facing charges for anything else. 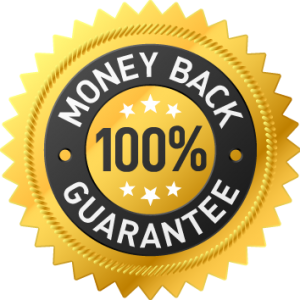 You must also have successfully completed any parole or probation for the case you want sealed and have paid all fines associated with the case. Convictions are not eligible for sealing. This includes Nolo Contendre pleas and Alford pleas. Exceptions to this are for misdemeanors committed before you were 21 and cases where you were sentenced under the Conditional Discharge statute. Cases that were never prosecuted, were postponed indefinitely, or had the charges dropped may be sealed. If charges were brought in a case but the case never went to trial, that case is eligible for sealing 12 months after the charge date. If charges against you were dropped, they must all be dropped for your case to qualify for sealing. Cases where only some of the charges were dropped are not eligible to be sealed. If you meet all of these requirements, you may be able to get your case sealed. It is certainly worth your while to apply for it. You can pay an attorney hundreds or even thousands of dollars to file paperwork for you in this matter, but it’s a waste of money. You can expunge records in Georgia by yourself quite easily. All it takes is filling out the proper paperwork and getting it to the correct authorities for review. Once your paperwork is reviewed, a decision on sealing your case will be made. 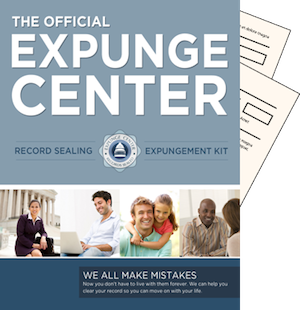 You can go around the state from agency to agency getting the forms you need to get your case sealed or you can do it the easy way and get an expungement kit from Expungecenter.com. This kit will help you navigate the sealing process in Georgia without the need for an attorney. You’ll spend much less time and money and your chances of getting your request approved are just as high by doing it yourself as they would be with an attorney doing it for you. So start the process of getting your life back and freeing yourself of the past. Apply to get your criminal record sealed.